As Chief Minister announced that she will be monitoring 100 top projects across J&K, Tasavur Mushtaq investigates to find out that 90 percent of the projects started from 1996 are awaiting implementation. One completed is in CRPF use. Tired of managing streets for whole of 2016, Ms Mufti is also under “performance pressure” as she has to contest for two Lok Sabha berths that involve two-third of Kashmir. Now she will personally monitor 100 top projects in the state. Sources tell Kashmir Life that the 100 projects to be monitored by Chief Minister are yet to be identified. 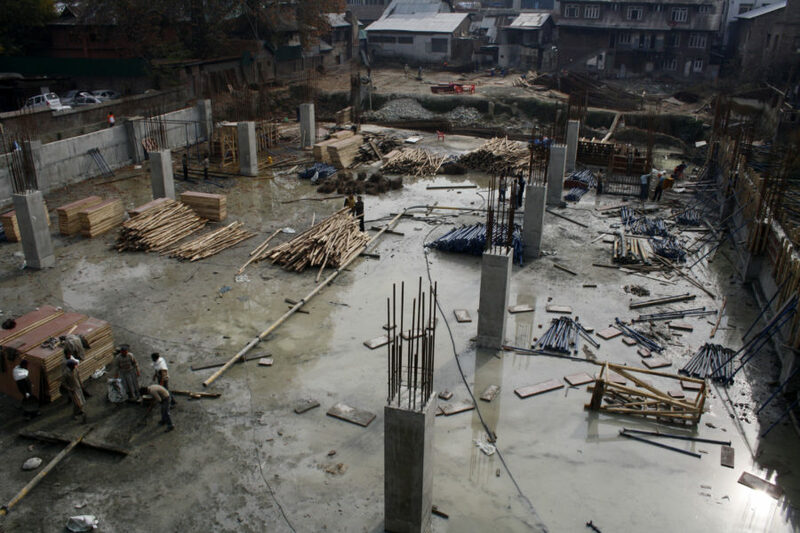 But a quick study suggests J&K Projects Construction Corporation (JKPCC) had about 90 percent of its projects that started since 1996 are still incomplete. JKPCC is the official builder and follow moth-eaten systems. A passenger bus trying to wade through pot holed road to reach Srinagar. 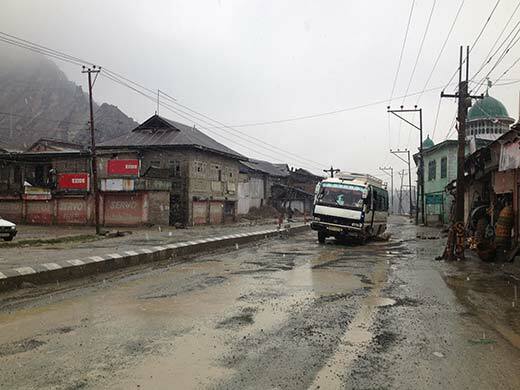 Ending April 2016, R&B Kashmir division had 65 of its works under execution at an estimated cost of Rs 503.64 crore. The government has released Rs 257.63 cr, of which Rs 6.43 cr were released this year alone. The work done in current fiscal is worth Rs 3.10 cr. Interestingly, in Srinagar, the number of works is 15 involving Rs 141.1 cr. Against available funds of Rs 6.97 cr, work done is of Rs 1.56 cr. The department is currently working on 11 bridges. There is only one project, ‘rehabilitation of Habba Kadal bridge’, that is complete. All others are running behind the schedule. Started in March 2011, Barbarshah bridge in Habba Kadal is ‘under process.’ The only thing in sight is that the ‘temporary foot bridge has been completed’ and ‘water supply pipes have been shifted on temporary foot bridge’. Estimated to be built at a cost of Rs 3.31 cr, only Rs 0.70 cr stands released for this 27 meter double lane bridge. Anticipated to be completed in February 2016, 115 meter Foot Bridge at Palpora Eidgah is stuck for ‘paucity of funds’ as Rs 0.21 cr are balance with the project authority. Another 127 meter foot bridge at Takanwari crossed deadline in September 2016. With estimated cost of Rs 3.19 cr, no funds were released in 2016-17 and Rs 1.61 cr are still balance with the project authority. With over a month away from its completion date, started in April 2012, for the 118 meter two lane bridge near presentation convent school, the work is “under progress”. Few Kilometers away from Amira Kadal, in Batamaloo, the 220 meter Malroo bridge was started in August 2010, with deadline of August 2016. After three months of expiry of date of completion, the “raising of pier shaft and well no. 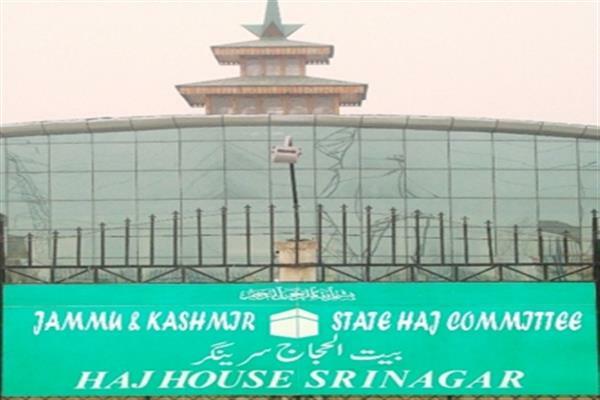 1 sinking is in progress,” an official JKPCC report said. The 145.5 meter long Palpora-Shalteng bridge being built at an estimated cost of Rs 16.80 cr has “superstructure in progress” as the “substructure has been completed.” With date of completion over in March 2016, the work was started in August 2011. In Khanyar, the work on 84-meter Zaina Kadal bridge was started in April 2013 and as in April 2016 the work is held up “due to non-availability of working space.” Not far away, renovation of 80-meter Zaina Kadal bridge is also halted “due to shortage of funds”. The work has been started in April 2012, with date of completion as May 2016. The work on Engineering complex at Raj Bagh Srinagar started in October 1996 is not completed. The Rs 11.60 cr project even after more than 20 years has still Rs 3.40 cr balance with the project authority. The other incomplete projects include extension of Rs 4.00 cr extension project of Ziyarat Naqshband Sahab shrine started in December 2010, restoration of old gutted shrine of peer Dastgeer Sahab at Khanyar. This Rs 16.07 cr project was started in October 2012 and was supposed to be ready by March 2016. Director colleges vide order no. PS/M.D/35 74-77 dated 23-07-2013 initiated work of having auditorium/community hall at Baghi-e- Dilawar Khan Srinagar with estimated cost of Rs 4.49 cr. As on April 2016, the only progress is ‘acquisition of structures by R&B department in progress’. The Khalsa High School at Batamaloo has overstepped the deadline of May 2016. Started in May 2011, the report reveals that “building at attic stage, finishing in progress.’ Built under special plan assistance, the work on new non-medical block of women’s college M.A. Road is still not competed. Even crucial health sector is facing delay. Directorate of Health started work on Drug Ware House at Bemina in April 2012. Anticipated to be ready by March 2017, the status of work is “ground floor slab in progress. The reconstruction of JLNM Hospital in Rainawari started in November 1996. It requires Rs 57.67 cr. 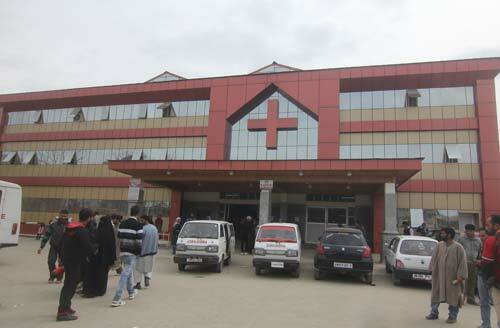 The status in April 2016 is ‘completed’ but details suggest “200 bed ward, theatre block and staff quarters work not started because old structures are not cleared yet by the hospital administration”. The work on Primary Health Centre Palpora, Eidgah is hampered because of ‘non-availability’ of funds. Work on this project started in November 2011 and after more than five years, the project is likely to miss the deadline of December 2016. DC Srinagar, Dr Farooq Lone, chairing a meet of officers in Srinagar on August 30, 2016. District Development Commissioner has undertaken work on Community centres in Srinagar under ‘Special Area Development Programme’. As per the executing agency, the estimated cost of six community centres is Rs 14.79 cr. In this segment of work, no fund were received in 2016-17 and under collection funds are Rs 1.67 cr for current fiscal leaving balance with project authority of Rs 7.85 cr. Started in March 2013, the date of completion for four community centres in Eidgah at Al-Noor Safa Kadal, Arampora, Kalamdanpora and Dalal Mohalla expired in June 2016. The reason cited for work held up is either ‘want of funds’ or ‘possession of land’. The centre at Daulatabad Khanyar, the completion date is December 2016, the details available suggest that ‘finishing and external work in progress’. For community centre at Koolipora Khanyar, only ‘column work in progress’. Started with much fanfare, the Hajj House Bemina is yet to get the status of being completed even though it is in use for a long time now. The work on this prestigious project was started, in November 2005. Against estimated cost of the project is Rs 20.85 cr, project is still waiting for Rs 3.70 cr. In current fiscal not a single penny was released. All the buildings as report suggests are ‘completed’, but the lift work for residential block is ‘pending’ and health bock level is completed only up to ‘roof level’. Commissioned in July 2006, the restoration of Hari Parbat fort is at 89 per cent of completion stage. Being built at an estimated cost of Rs. 2.13 cr, the project got no funds in 2016-17. Under progress work of two projects of social welfare department has deadline of December 2016. Started in February 2010, the work on OBC Hostel at Islamia College Srinagar is incomplete. Built at Rs 6.79 cr, the value of work done in more than six years is only 2.60 cr, leaving balance of Rs 4.17 cr with the project authority. In another project of old age home at Saidapora, Eidgah built at a cost of Rs 4.10 cr, the work was started in September 2011. Problem: ‘paucity of funds’. The other project is stationary and office supplies complex. Started in August 2004 at an estimated cost of Rs 0.81 cr, the building as on April 2016 stands completed. But as the data reveals it is not in use for the purpose it was constructed as the building is “presently occupied by CRPF.” This is probably the only completed project but is under ‘occupation’. The Wakaf board started Marble cladding of main dome of Aasar-i-Sharief Hazratbal shrine in October 2013 at an estimated cost of 3.60 cr. The work is not completed despite having anticipated date of completion as March 2016. Even after more than four years, the “marble cladding of base beam of dome is in progress. Revered and largest shrine of Kashmir from last many years is under construction, when at other places in state, the management of Hindu shrines have started, completed and used many new state of art structures. For Wakaf, the marble cladding is not over from last more than three years.